Tiji Festival, a three-day ritual known as "The chasing of the Demons" and it is centered on the Tiji myth. Tiji tells the story of a deity named Dorje Jono who must battle against his demon father to save the Kingdom of Mustang from destruction. The demon father wreaks havoc on Mustang by creating a water shortage which, in this extremely arid land, is the most precious life-sustaining resource. Dorje Jono eventually defeats the demon and banishes him from the land. This festival falls in the end of May. We, Wilderness Excursion Pvt. Ltd operate Tiji Festival Trekking tour in Lo Manthang of upper Mustang every year with best service and most competitive package cost. 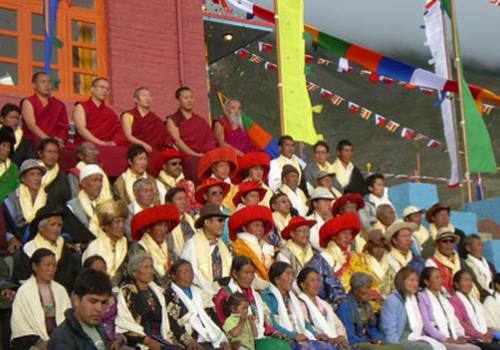 The official date of Tiji Festial 2018 will be decided after Tibetan New Year this year. 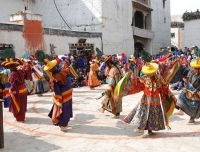 During this trip you will be also rewarded with lifetime experience of Himalayan holidays in last the Forbidden ancient Buddhist Kingdom of Mustang known as ‘Mini Tibet of Nepal’, northern Nepal surrounded on three sides by Chinese held Tibet, one of the oldest civilizations on the earth, mediaeval world uniquely preserved from modern technology. A land covered with small villages, ancient monasteries, friendly people and breathtaking scenery. Mustang´s wealth was derived from being a major trading hub on the Kali Gandaki / Thak Khola trade route between Tibet and Nepal, which reflects the rich Buddhist culture, history, laws and customs. After hot breakfast drive 200km to Pokhara and it takes about around 7 hours from Kathmandu by tourist bus. 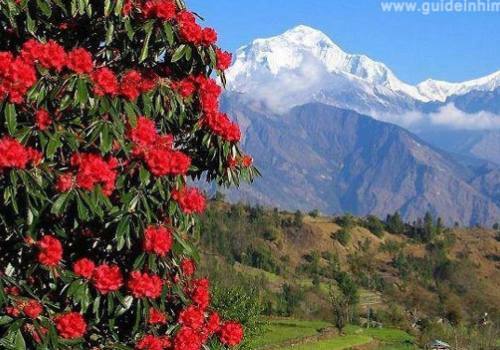 It is an exciting and romantic drive that we can enjoy beautiful scenic view of terraced rice field, eye catching landscape, Trisuli and Marsyangdi Rivers and spectacular panoramic view of Ganesh Himal, Manaslu, Lamjung Himal and most of Annapurna Himalayan Range are seen. The tourist coach stops for breakfast at 09:00 am and at around 12:00 for lunch on the way to Pokhara. 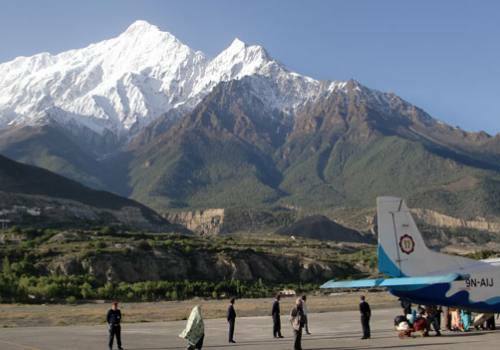 Fly to Jomson by early morning flight & meet the trekking crew at the Jomsom airport. 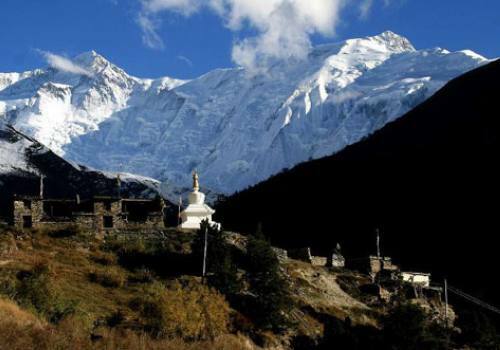 After a short prepatarion, the trek starts along the bank of Kaligandaki River to the little pretty village of Kagbeni which is North of Jomsom. The walking duration is Three to Four hours. At the Police Check Post at the north end of Kagbeni Village, you have to clear the formalities to enter the Upper Mustang area. The trail continues the east bank of the Kaligandaki that climbs over many ridges as it heads north. You can see Gompa Kang & some caves on the west bank of the river. The village of Tangbe is situated alongside the east bank trail above the river at an elevation of 2930m. Nilgiri Peak, which dominated the southern skyline at Kagbeni continues to loom massively at the foot of the valley. Chhuksang village is about hours a half beyond Tangbe at the confluence of the arshang Khola and the Kaligandaki 2920m elevation. Continue north; wither wading the river or climbing. 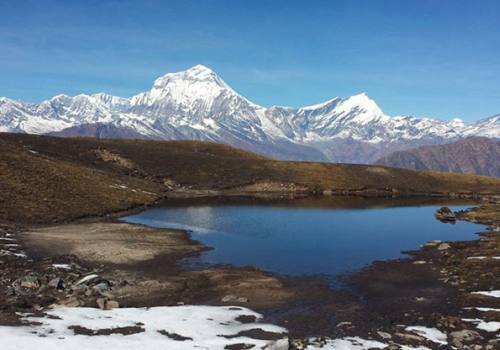 The trek now leaves the Kaligandaki Valley and climbs steeply up a rocky gully to and Chele at 3030m. The climb from Chele is up a steep spur to a cairn at 3130m. Here there is a view of the village of Gyagar across a huge canyon. 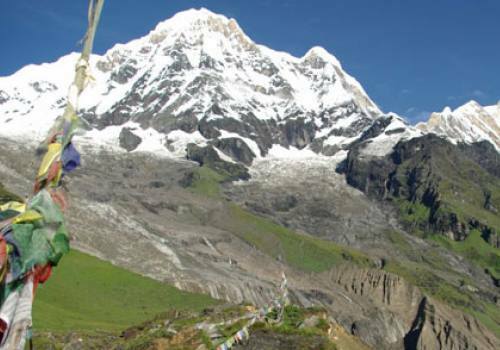 You will see some Chortens on a ridge, then descends further on a pleasant trail to Samar (3290m). 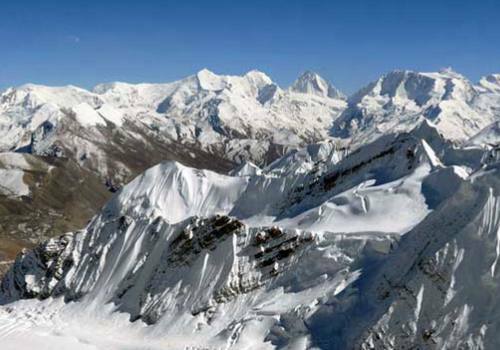 The Annapurna Himal, still dominated by Nilgiri, is visible far to the south. Shyangmochen is the lunch place for today. 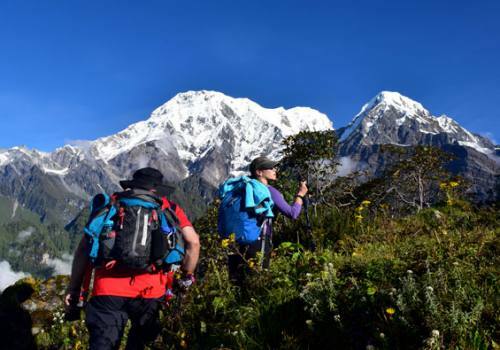 The trail climbs gently from Shyangmochen to a pass at 3770m & enters another huge east-west valley. There is a trail junction, take the right fork and descend to Geling with its extensive fields of barley at 3600m. Day 05:Trekking to Charang (11677ft / 3560m). From Geling, the trail climbs gently through fields up the center of the valley, passing below the settlement of Tama Gung and an Chorten. It rejoins the direct trail and then becomes an unrelenting climb across the head of the valley to the Nyi La pass at 3950m, the highest point reached on the trek. The descent from the Nyi La is gentle; the valley to a steel bridge across the Tangmar Chu then climbs past what is perhaps the longest and most spectacular stretch of mani wall in Nepal. Climbing over another pass at 3600m, the route makes long gentle descent to Charang at 3520m. LO MANTHANG The trail descend about 100m from Charang crosses the Charang Chu and climbs steeply up a rocky trail to cairn on a ridge opposite the valley at 3580m, then enter the Tholung valley. The trails turn north and climb gently as the valley climbs to a large isolated chorten that marks the boundary between Charang and Lo. Still climbing, the trail crosses a stream, and then becomes a grand wide through fare traveling across a desert like landscape painted in every hue of gray and yellow. Cross a stream, then climb up onto the plateau of Lo Manthang. 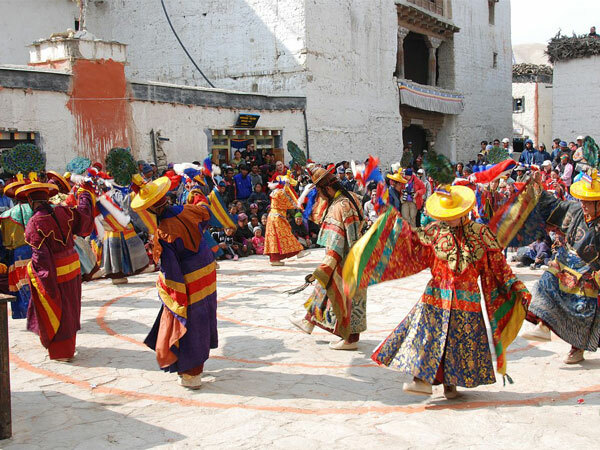 In Lo Manthang the Raja´s palace is an imposing 4-story building in the center of the city. 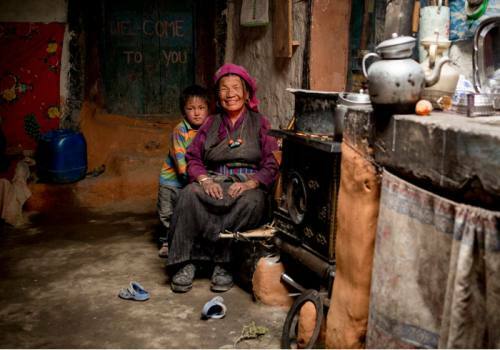 It is the home of the present Raja, Jigme Parbal Bista and the queen who is from an aristocratic family of Lhasa. The Raja is an active horse men and keeps a stable of the best horses in Lo. He also breeds Lhasa Apso dogs and several monstrous Tibetan Mastiffs that can be hear barking angrily on the second story of the palace. We enjoy the festival in the afternoon upon arrival. Day 07:OBSERVE TIJI FESTIVAL AT LO-MANTHANG. Stay overnight in lodge. Day 08:OBSERVE TIJI FESTIVAL AT LO-MANTHANG. Stay overnight in lodge. 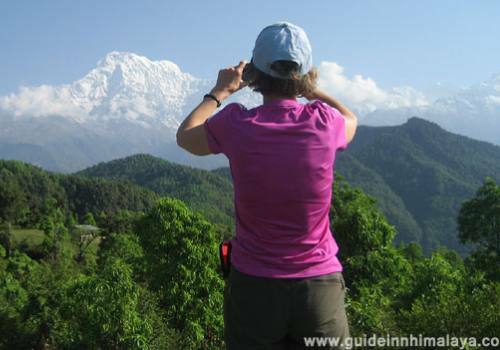 Day 09: Hike and explore surrounding, Visit the villages, monasteries and the King’s palace. 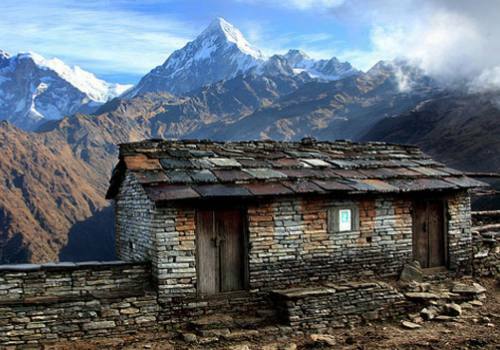 There is an opportunity of vary the return route, visiting tow villages that you did not see on the trek northwards. From Lo Mangthng the trail to Charang heads south; to reach Lo Gekar, turn east along an indistict trail that passes the irrigated fields of the city. The tail to Lo Gekar is not a main trading route and the area is cirsscrossed with herders trails. The trail climbs steadily to a pass market by a cairn, offering a last glimpse of Lo Manthang. After descending to the valley floor, the route heads to the right up the centre of the valley to its head. Cross the bridge at 4070m and traverse across the heads of two more valleys to an indistinct pass. Cross the pass to some meadows and a stream. 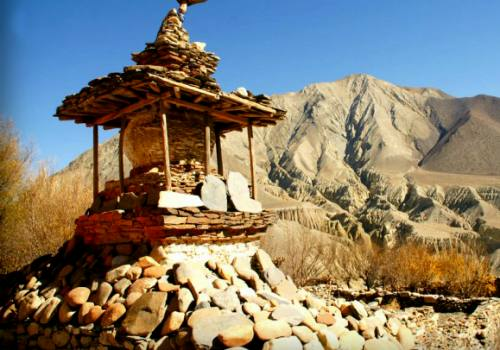 The trail then makes a long rocky descent down a ravine to a grassy valley where Lo Gekar is situated in a grove of large trees alongside a stream.Lo Gekar(which means" pure of virtue of Lo") is also known as Ghar Gompa. "House Temple" because the structure is built like a house with small separate rooms. There is no village nearby, you can see Marang and below that Charang. Climb to a ridge, then across a valley to a cairn and a pass 200m above Lo Gekar. The trail descends now alongside the stone walls and fields of the extensive village, and then climbs to a ridge, It is a short descent to Ghami at 3440m. Ghami is a large village of whitewashed houses. From Ghami, follow the direct route to the Nyi La, climbing to a cairn on a ridge and then contouring upwards to meet the trail from Charang, Continue to the pass and descend steeply into the Geling valley. Follow the trail that by passes Geling to an isolated tea house and descends gently to the three houses of Tama Gung, A steep set of switchbacks leads to a stream, thenthe trail climbs to a huge painted Chorten, The trail rejoins the Geling near the ride, just below a Chorten and the remainder of the day is on already travelled trails back to Samar. 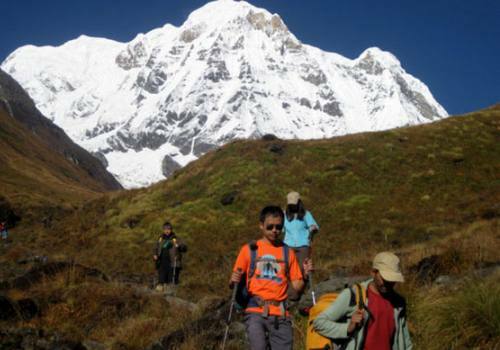 Retrace the upward trail back to the Kaligandaki and downstream to Kagbeni. From Kagbeni take a Jeep ride to Jomsom for the night. Fly to Pokhara from Jomsom. Relax and enjoy in Lake Side of Pokhara in the main tourist hub of beautiful city. Stay overnight in hotel. Drive to Kathmandu 200km from Pokhara. Transfer to hotel by your guide. 2 Nights sharing twin/double deluxe room in 2** hotel in Pokhara with breakfast. 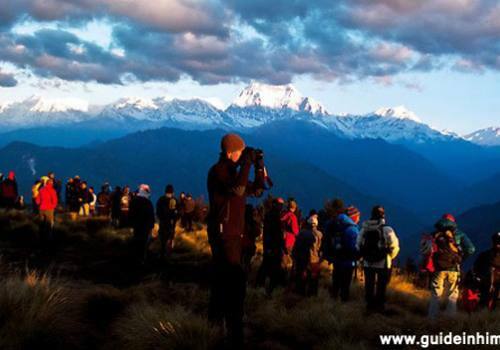 Experienced registered English speaking local trekking guide. 1 Sharing porter for 2 travelers to carry your trekking stuffs. Tea, coffee, cookies and seasonal fresh fruits during the trek. ACAP Permit NPR 3000 (U$ 20) per person and airport taxes. 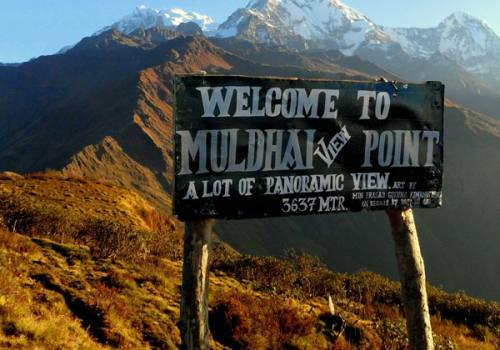 Pokhara – Jomsom - Pokhara by flight (U$ 250 per person. Complementary Upper Mustang Trekking Map. Government tax, vat, airport taxes and office service charge etc. Gratitude and tips for your guide and porter. How much to tip? I did Tiji festival trek with my friends. We were 5 in the group from Lithuania and booked this cultural tour with Wilderness Excursion. Pradip from the agency did reception and welcomed us at the airport with great smile and took us to selected hotel at Thamel (Samsara Resort) Rahul Tamang guided our group of five trekkers on the 17 days Pokhara tour - Kathmandu to Lo Manthang to experience the Tiji festival - fantastic! No any difficulty for us that our guide always went the extra miles to ensure all in our group had an enjoyable journey. A professional, organized and VERY reliable team - thank you Wilderness Excursion for making this first time trekker's journey an experience of a lifetime!